Part one of a three part article on how these Pop classics are deconstructed and remade with the sounds of my favourite 80’s computer, the Commodore 64, then layered with vocals. I’ve been seeing this comment quite a bit when I post new music up to Youtube, Soundcloud, Bandcamp etc. For the sake of brevity in those uploads I simply say “Made with the sounds of the Commodore 64 Home Computer”, but what does that actually mean? Ok, a bit more detail is in order. Overview – What is Bitpop? I title all my uploads with “[Bitpop/Chiptune]” however my predominant genre is Bitpop. I include the word Chiptune in as I appreciate that not everyone knows what Bitpop is. Chiptunes have existed since the 80s but the terminology gained more prevalence as the computers that generates that music fell into obsolescence. 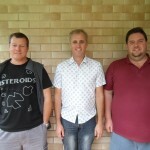 Even amongst those that know Chiptunes, it is a smaller group that know of Bitpop. Using the word ‘chiptune’ serves as an anchor point for my more obtuse subgenre. 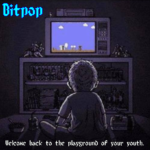 Your average listener is unlikely to know what a chiptune is and even amongst the minority that know of chiptunes, they are unaware of bitpop. Let’s start by quoting Wikipedia, Bitpop is a type of electronic music and subgenre of chiptune music, where at least part of the music is made using the sound chips of old 8-bit (or 16-bit) computers and video game consoles. 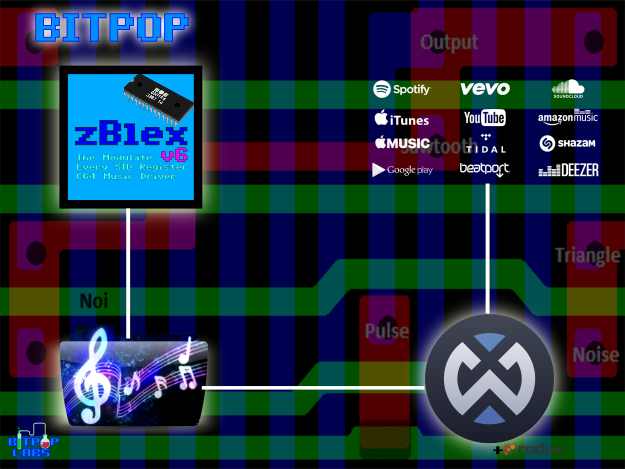 Bitpop uses a mixture of old and new equipment often resulting a sound which is unlike Chiptune although containing 8-bit sourced sounds. For example, a bitpop production may be composed almost entirely of 8-bit sounds but with a live vocal, or overlaid live guitars. 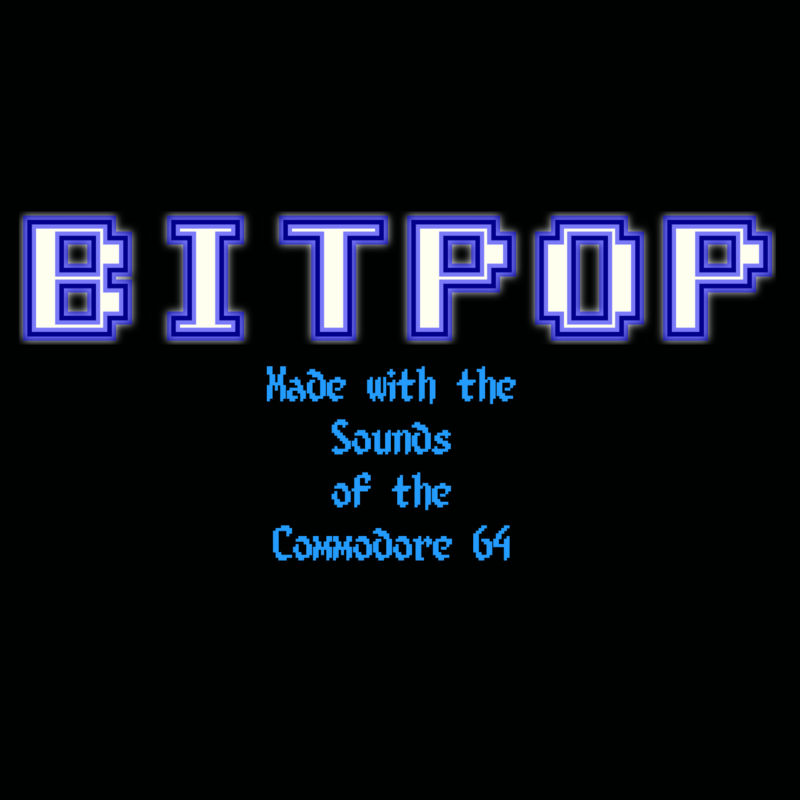 Conversely, a bitpop production may be composed almost entirely of live vocals and instruments, but feature a bassline or lead melody provided by an 8-bit device. Bitpop is therefore a more broad category in its allowance in variation as opposed to the tighter constraints this constitute chiptunes. This isn’t pure SID but I never intended my music to be as constrained. Most of my header & banner graphics and some of my promo art have the motto of “Bitpop – Eight Bit Chiptunes Behaving Badly”. I chose this saying as a response to the preconceived notion of some of my listeners. Back in 2013, I resumed doing music after a long hiatus by remixing music from C64 games. This is tried and tested activity with websites such as RKO dedicated to C64 remixes. While I appreciate those remixes, it seems that there is a strong leaning towards dance and electronic-dub style interpretations. My approach was to imagine how the original artist vision for the musical pieces were and try to recreate a high-fidelity versions of how the tunes might have sounded in their head. That lead to two albums, the “8 bit Spindle” and “Commodore – Paula, 6581”. Then in 2017 I heard a Coldplay song called ‘Something Just Like This” and felt compelled to do my own version but it was already high-fidelity so, what was I going to do that was different? Then it dawned on me. Instead of making “low-fidelity” (SID Chip music) sound “high-fidelity”, I’ll do the opposite and make ‘Something Just Like This’ sound as if it’s being played by an old computer sound chip with the addition of vocals by William Yang. I didn’t know what I was starting or even what to call the genre or style I was delving into. I started doing some searches for musicians and music of a similar nature. My objective is to make these 8 bit sounds more accessible to a broader listening audience – for my music to be more like a “song” rather than solely an instrumental. My thoughts are as follows: These old computer sounds are wonderful and I love them but not everyone is going to appreciate it in the most raw and traditional sense. By bringing these awesome old computer sounds together with vocals and popular music, I am trying to open up the accessibility of these sounds to people that otherwise may never know of them. The long-game of this is a form of preservation where the fundamental chip sounds are not just sitting archives, rather they are heard by people that would otherwise not hear them. Perhaps this can act as a gateway to people discovering the more pure side of Chiptunes and computing history – I don’t know, but I’d like to hope so.